The Palaszczuk Government has terminated the proposed ASF development on the Gold Coast Spit and will move forward with a community-led master plan. Premier Annastacia Palaszczuk said Tuesday's decision was based on ensuring the best long term solution for the Gold Coast. "We need to ensure that character is preserved for future generations," Premier Palaszczuk said. "The Spit offers great opportunities for job creation through tourism, entertainment and recreation. "What the Spit really needs now is a master plan to revitalise it and increase its benefit to the Gold Coast as a community asset. 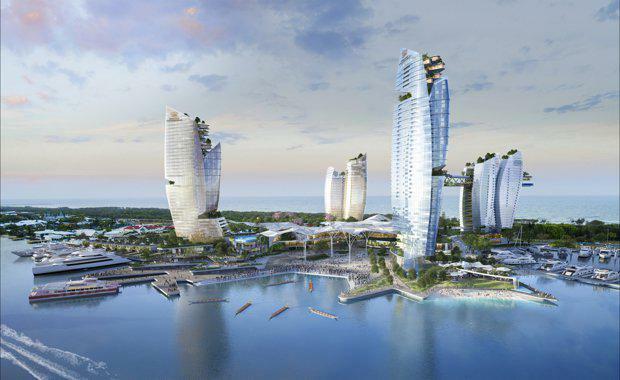 "Palaszczuk said that the decision did not rule out the possibility of a future Integrated Resort Development on the Gold Coast. The community-led master plan will cover 190 hectares, 140 hectares of which will be parkland. The casino license that was a key part of ASF’s proposal remains on offer for the Gold Coast, prompting speculation about possible alternative locations. One of the most likely locations is a 10,500 square metre site in Surfers Paradise comprising an entire block bordered by the Gold Coast Highway, Palm Avenue, Cypress Avenue and Surfers Paradise Boulevard. A consortium comprising Hong Kong investor Tony Fung’s Aquis Australia, CCCC International Holding Limited (CCCI) and Tandellan Group acquired the site just over 12 months ago for a rumoured $40 million. “The masterplan that we’re committing to deliver today ensures a future for the Spit which is in accordance with Gold Coast Council’s planning scheme, including the three-storey height limit,” Minister Trad said. “It helps get the balance right between protecting environmental and community values and allowing appropriate commercial development. "It is expected the master plan will take 18 months to complete. It will be undertaken in collaboration with Gold Coast City Council and the Gold Coast Waterways Authority. Fung also controls the ASX-listed Aquis Entertainment that owns and operates Casino Canberra and is recently received approval for a $450 million 6-star resort on the Esplanade at northern Surfers Paradise.